HURT911® provides three Seals of Approval: Approved Product, Approved Service and Approved Site. 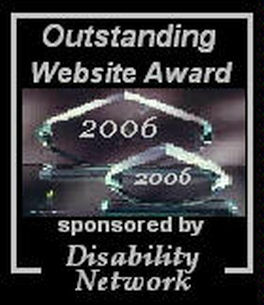 The Seals may only be displayed by those products, services or web sites that I have personally reviewed and approved. The Seal of Approval should save you from making costly mistakes and save you valuable time by doing the comparison shopping and testing to find the best quality products, services and web sites. To find out who has a seal, click here. Indicates that I have personally tested the product and have determined that it meets my personal stringent requirements that the product will provide a useful function to improve my life or business, (and hopefully yours) that I believe it is a high quality product and that the company manufacturing the product provided good customer support. I am very picky. Whether I buy a pair of sneakers, a hot tub or anything else, it has to be of the highest quality and meet my other standards. I always research everything to death before I buy, which is why I started this approval. Finally, I can earn some money for my time and save time for people who rely on my approvals! The cost to examine a product is $2,500 and $150 each time the product is modified or $1,500 for a substantial modification. A detailed written review of the product may ordered for publication on HURT911.org for an additional $3,500. Indicates that I have personally reviewed the service and have determined that it meets the same stringent requirements as products. Services reviewed may be useful for the public or for lawyers. The cost to examine a service is $2,500 and $175 each time the service is substantially modified. A detailed written review of the service may ordered for publication on HURT911.org for an additional $3,500. Indicates that I have personally reviewed a substantial amount of the content of the web site and have determined that it provides information which I believe to be both useful and accurate for users. Approval means that the information reviewed on the web site may be relied upon as provided by a legitimate source in an effort to present accurate and educational material, even if the information is provided for commercial purposes. Approval does not mean that all of the information has been reviewed, or that it is 100% accurate, or that it should be utilized for any particular person without professional advice. The cost to review a web site is $2,500 and $75 annually. A link to the reviewed web site from HURT911.org is included at no extra charge. 1-800-HURT-911, Inc. is not responsible for any loss or damage experienced by anyone’s use of information or reliance on the opinions of Philip L. Franckel, Esq., President of 1-800-HURT-911, Inc. If you have a product, service or web site that that you would like reviewed for approval, please send your information click on web site suggestion and tell me what you would like examined.